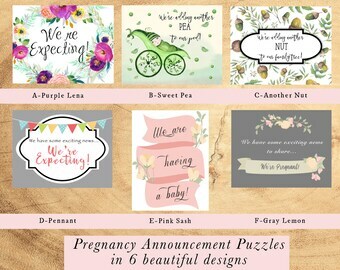 Announcement We specialize in handmade and personalized bridesmaid proposals and pregnancy announcements. Custom orders are our specialty so let us know how we can create a one of a kind gift for your loved ones! Processing times vary (between 2-7 business days) with each item. This is the time it takes to create your handmade item before it is shipped. If you need it fast Rush Service can be added to push your order up the line and processed quickly. Upgraded shipping can also be added at the time you check out to expedite delivery. We love to see our customers with our products!! Tag us with #petite25 and or #petite25studios! We specialize in handmade and personalized bridesmaid proposals and pregnancy announcements. Custom orders are our specialty so let us know how we can create a one of a kind gift for your loved ones! 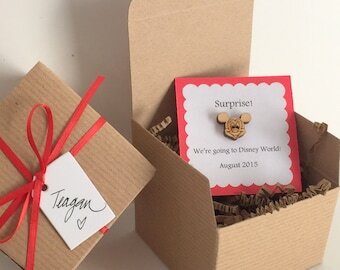 Our new egg timer pregnancy announcement comes personalized and gift wrapped. Ready for gift giving!! The excitement is absolutely fabulous!! 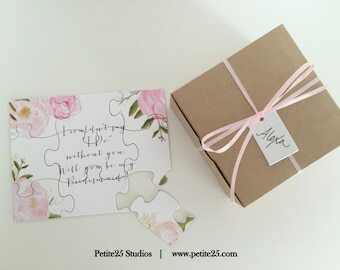 Petite25 Studios specializes in handmade Bridesmaid Proposals and Pregnancy Announcements. Each item is handmade from start to finish in a smoke free environment.